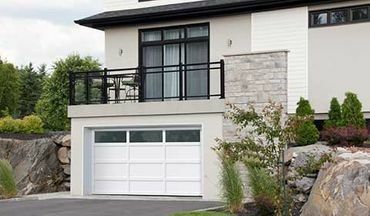 Garage Doors Ottawa | Residential | Fendor Glass & Aluminum Inc. These days, when it comes to enhancing the look of your home, you have endless choices from upgrading your windows to finding the perfect entrance for your new home, or updating your garage doors. Located in Ottawa, Fendor Glass & Aluminum Inc. has been serving residential customers for close to eight decades, with our great selection of residential products. With our experience, you can be sure that if you have any questions about the material of our products, or any concerns about anything at all, you can turn to us as our specialists will be happy to provide answers. Click on any of our categories to learn more about each product. 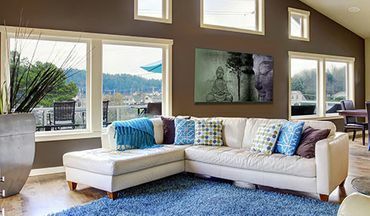 No matter what your personal preference, we have window options for every situation. Our expert and professional staff work with the latest energy saving technologies to provide you with efficient and attractive installations. 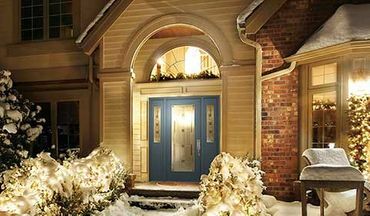 Available in a variety of colours and styles, new doors and entrances can improve the curbside appeal of your existing homes and compliment contemporary designs. We offer a wide range of products from numerous manufacturers so that we can find the right match of colour and materials for your home. Our garage doors range between plain and simple doors with automatic openers to heritage doors featuring modern efficiency ratings and brass handles. Plus, we also carry maintenance products, and have expert staff on hand to provide garage door advice if you need it. Need help with a glass or screen repair? Ready to replace your old doors? Fendor Glass & Aluminum Inc. is ready to help you! Call us today to discuss your project in more details.